“So what is an amplifier remote turn-on wire?” you might ask. Your remote turn-on wire simply communicates to the amp that it needs to switch on. You can rewire it using a relay off the switched power wire to the radio to a relay, you need to use the distribution block to the amp as a source. However, if you have more than one amp, it’s recommended that you don’t use a relay. Instead you could connect a wire from the switched power for the stereo to activate the relay. Install LED lights into cigarette lighter? I plan on tapping into the wire that goes into my amp from the radio (Remote Turn on). Is this a good source of power for running a few LEDs? I want the LEDs to come on whenever my radio is on so I figured this would work. Is this safe to do? Or should I use a relay and tap into the 12v wire that is connected from the amp to the battery and then use the remote turn on wire to power up the relay. I’ve hooked up LED’s to the Remote wire before. Dont see a problem with it. A risk I would not take. So are some wires that connect to my air bag, should I tap into those? Let’s start tossing that out for install advice. **** it why not? This board used to be wire and fuse directly to your battery. Now it’s a **** play ground of hooking up inexpensive stuff made overseas to any form of factory wiring without any rhyme or reason to the fusing, fuse size or draw. Will it work, sure why not, but where is the fuse on that remote line? What’s the gauge, what’s the amp draw? What’s going to happen if the LED shorts? What about down the road when he wants to add more? Should he just keep taping 12 volt lines? Where will the madness stop? ^^That should be fine,hopefully you added a fuse. You can’t really power much off the remote turn on lead anyway,because it’s output is only a few milliamps. You have to be VERY cautious adding load to the remote wire it’s more a “signal” wire to turn on the amp it’s not designed to source higher amounts of current and can damage the internals of your head unit . I rewired it using a relay off the switched power wire to the radio to a relay , using the distribution block to the amp as a source. The CORRECT way is to use the Power lead from the radio to trigger a relay . Use a rely and tap in constant 12v Power. Then use the remote turn on to open/close the relay? Just trying to clarify… thanks! Now it’s a **** play ground of hooking up inexpensive stuff made overseas to any form of factory wiring without any rhyme or reason to the fusing, fuse size or draw. Will it work, sure why not, but where is the fuse on that remote line? What’s the gauge, what’s the amp draw? What’s going to happen if the LED shorts? What about down the road when he wants to add more? Should he just keep taping 12 volt lines? Where will the madness stop? The amount of bad wiring advice on here is amazing. Hook wires up to anything. Fuse based off the load. It seems that most people have the mentality that if it worked for me, it’s the right way to do it. Just b/c it works doesn’t mean it’s correct. I can use duct tape to hold on a bumper and it’ll look great. That doesn’t me it’s the correct way to do it. If you’re going to use the remote wire, put it on a relay. Agreed with PwrRngr. 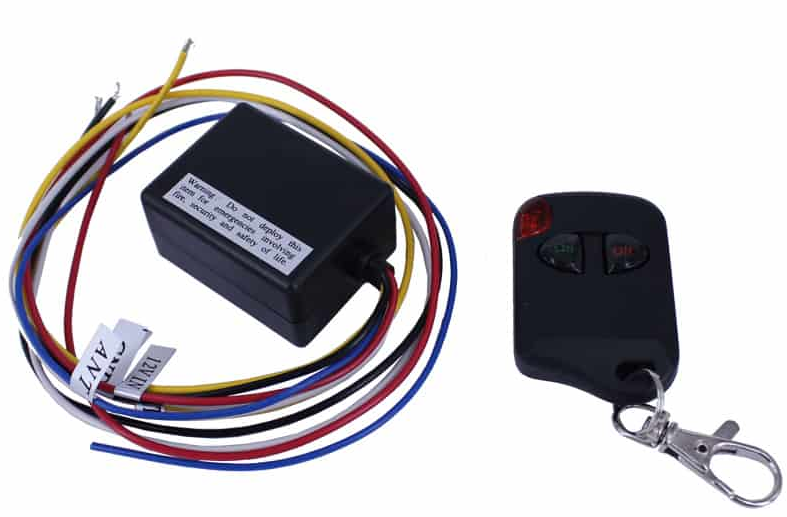 Use the remote as a trigger for a relay that is drawing 12v either from one of the power outlets or from a distribution block directly connected to the battery. If you have multiple amps I WOULD NOT add the relay I’d run a line from the Switched power for the radio to Activate the relay . If you have a single amp you can tap the remote line to trigger the relay . I most certainly agree with what all you guys are saying,but I was only commenting on his current setup with only two l.e.d.s being powered off the remote turn on wire. Exactly. Just b/c it can be done it doesn’t me it should be done that way. If you’re not going to do it right, don’t do it at all. Simmer down guys I never said they should be wired that way and it’s definitely not how I would of wired them. Like I said before,I was only commenting on his current setup which was only two measly l.e.d.s connected to the remote turn on wire,which if he made solid connections/fused it properly is certainly not going to be a problem. I prefer if your not going to do it right, don’t cry to me when it breaks. I connected my 2 Amplifiers remote wire to the extra 12V 10Amps power outlet with a switch in series that gives me option to switch ON or OFF the amplifiers at my will.